Climate change is here and it’s costing lives. It’s our own fault, nobody else is to blame but the person writing this article and the one reading it. You need to know what is going to happen next. If 2012 did nothing else, it opened our eyes to the reality of climate change, the cold hard facts. It’s here and it’s devastating. We may have survived the “end of the world” predicted for the the 21st of December, but we cannot outrun this. In September 2012 the Arctic Sea Ice shrank to it’s lowest ever recorded level, surpassing the previous record by 500,000 sq km. The US was on course to experience by far its hottest year on record. Nearly 15,000 new daily heat records were set and Europe had its warmest spring ever recorded. Severe drought conditions hit Russia and Siberia during June and July. In China, Yunnan and south-western Sichuan provinces experienced severe drought during winter and spring. April – October precipitation total in Australia was 31% below normal. Many parts of western Africa and the Sahel, including Niger and Chad, suffered serious flooding between July and September because of a very active monsoon. Exceptional floods hit Nigeria and parts of southern China experienced their heaviest rainfall in the last 32 years. Devastating monsoon floods hit Pakistan during September. The key driving factor in these extreme weather events is the global rise in temperature. NASA says that all three major global surface temperature reconstructions show that Earth has warmed since 1880. Most of this warming has occurred since the 1970s, with the 20 warmest years having occurred since 1981 and with all 10 of the warmest years occurring in the past 12 years. 2013 is no better with the forecast being between 0.43 °C and 0.71 °C warmer than the long-term (1961-1990) global average of 14.0 °C, with a best estimate of around 0.57 °C, according to the Met Office annual global temperature forecast. It’s accepted by the majority of the scientific community that climate change and in particular the global temperature rise, affects our weather by leading to more extreme weather events. E.g. Widespread increases in heavy precipitation and severe drought. The continued above average warm global temperatures and expected continued rise in the global temperature has disastrous consequences for the already fast disappearing Arctic Sea Ice. 2012 saw a massive decline in Arctic Sea Ice, smashing the previous lowest record shocking scientists around the world. Between the seasonal maximum extent that occurred on March 20, 2012 and the September 16 minimum, the Arctic Ocean lost a total of 11.83 million square kilometers (4.57 million square miles) of ice; this is by far the largest seasonal loss of sea ice in the satellite record. The second largest seasonal loss was 10.65 million square kilometers (4.11 million square miles), in 2008. So what we can take away from this is that the warmer water and in particular the warm air temperatures melted the ice faster. As the world continues to warm, the departure from the normal ranges will widen and the the inevitable will happen, all the ice will be gone in our life time. The polar ice caps play a major part in keeping our climate moderate and cooling the planet. The ice acts like a great refrigerator, cooling the world’s atmosphere. It’s also a great big mirror reflecting solar heat back out of the atmosphere. Dark green seas, while beautiful, attract a lot of solar heat being much darker in colour than the gleaming white ice. Loosing these major cooling devices for the planet will be like shutting the air conditioner off in your car on a hot day and closing all the windows. It’s going to get hot. Very hot. This compounds the already excessive warming of the planet, having a knock-on affect of melting even more ice, permafrost and more. 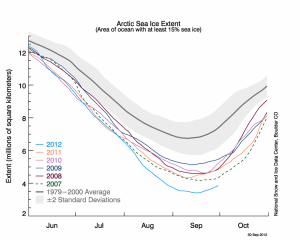 Now the Arctic sea ice melting is one thing. Put ice in a glass, fill it with water. As the ice melts the glass does not overflow. This is because the ice already displaces the water so when it melts, the ice that melts does not take more space than it already did. So although the Arctic sea ice melting is bad for global temperatures and the sensitive ecosphere there, it will not impact significantly on global sea levels. Melting land ice is another matter altogether. Take the same glass, fill it with water. Now add the ice… get the picture? The Antarctica Ice Sheet averages a mere 1.6km in thickness, however it covers an area larger than the U.S. and Mexico combined. It’s a continent of ice. So what happens if all this ice melts? Remember the glass overflowing and make a big mess when you tried to put the ice in? 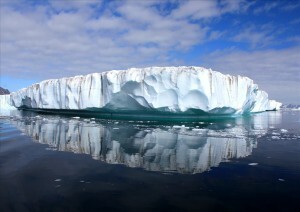 Scientists estimate that the sea level would rise about 6 meters (20 feet) globally if the Greenland Ice Sheet melts. 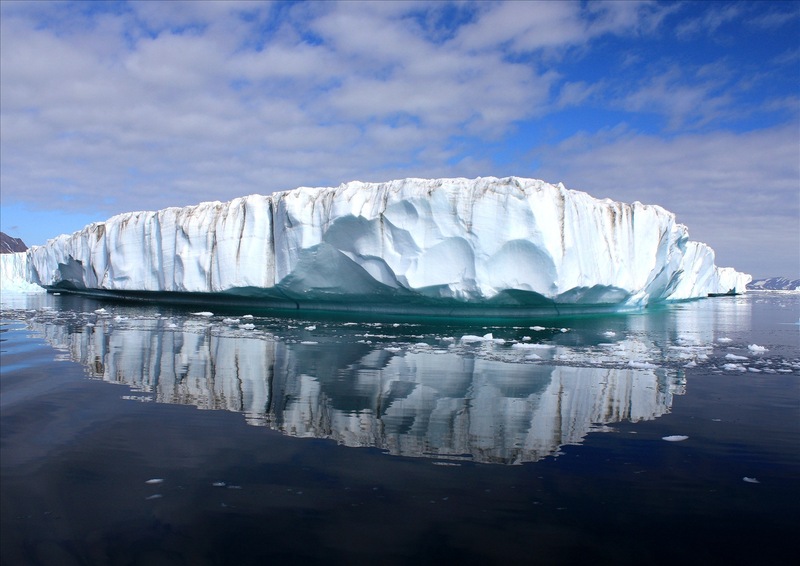 If the Antarctic Ice Sheet melted, the global sea level would rise by about 60 meters (200 feet). I cannot describe how absolutely disastrous and cataclysmic the consequences of this would be. We will loose hundreds of major cities and millions of square kilometres of coastal land at a huge cost in life. So what I say to you is this. You cannot ignore this any longer. By doing so we have been a major part of the problem. You need to take responsibility for your future, this is happening now. Do not expect the government to save you. You need to make sure if the worst happens you can look after yourself and your family. Shelter, water, food. Think about how you going to get those if you loose access to them. What happens if you don’t have electricity for weeks in the middle of winter? The water is contaminated due to flooding? Food trucks can’t get to supermarkets cause you snowed in? Be prepared. Talk to your friends, neighbours and strangers. We need to raise the global consciousness. Only then will our voice be heard by the corporate backed politicians of our world. We need to make them hear that we will only support politicians that have strong policies on climate change and that will do something now. Our governments do nothing about carbon emissions because we let them do nothing. There is only one thing a politician cares more about than his corporate paymaster, your vote. If they believe they going to loose your vote, they’ll take notice. I truly believe it is inevitable that we going to see major changes to our environment with a massive loss of the world ecosphere and in human life and that it’s happening already. It will only get worse. Extreme weather events like major flooding, extended droughts, extreme winters and summers are now the norm. We will survive of course, unfortunately for this planet and other species that share this beautiful planet with us, but what we do now will make a major difference in the future by limiting the amount of change we going to see and therefore the destruction that change will bring.